Remember the movie “Field of Dreams”? 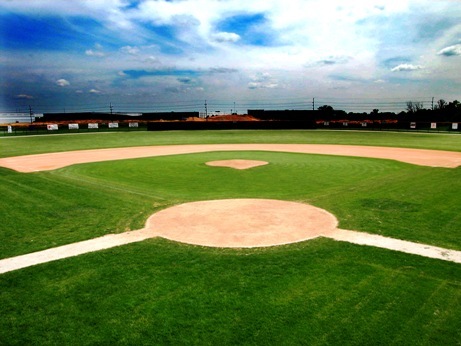 Ray Kinsella saved his farm by plowing his corn field and building a baseball diamond. After simply building the field people came from miles around just to see it. People may magically appear for Hollywood…but not for your business. Over the years, we have met several business owners who still share the “if I build it, they will come” philosophy for promoting their business or business website. Basically saying they don’t need to advertise or utilize SEO and social media because all they need to do is put up a sign or a site and customers will flock. We have already told you that SEO is the foundation for your website. They have to know where you are before they can buy from you. OK…let’s say they found you. Have you given them a reason to buy yet? That’s where social media marketing comes in. We are talking about your blogs, your tweets, your posts, your podcasts, etc. Social media marketing deepens the relationship between you and your customer before they even buy from you. It builds a wall around your customer after they buy from you. It turns your transactional customer who buys on price into a customer for life who buys because they really care about your product or service. Social media marketing gives them the why. You need to engage, enlighten and motivate your prospect so that cold calls become warm calls and warm calls become life-long customers right before your eyes. If you build it…test it…nurture it…promote it…be real with it…then and only then…will they come. Filed under: Business Strategy, SEO, Social Media.